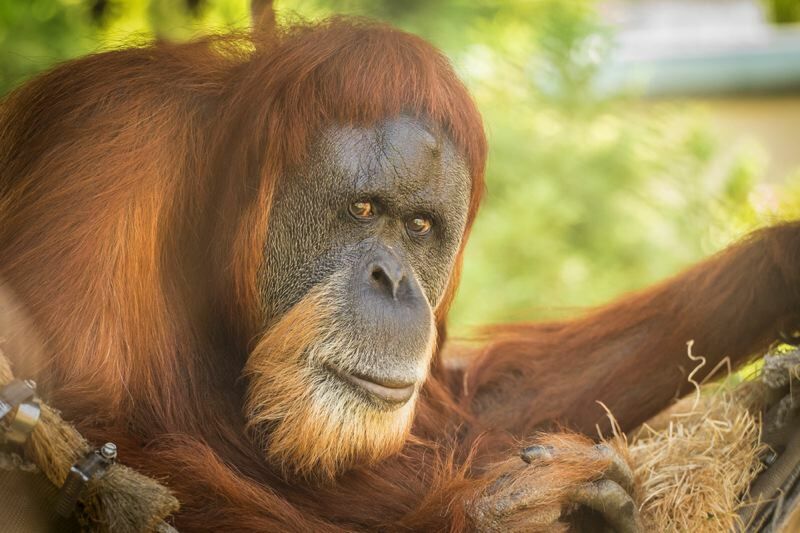 The world's oldest orangutan lives at the Oregon Zoo, and she recently turned 59. The ultra-geriatic Sumatran orangutan Inji is "in amazing shape for her age," says Asaba Mukobi, the zoo's senior primate keeper. "She has no major health concerns — she isn't taking any special medication beyond aspirin. Her age and remarkable condition say a lot about the quality of care she's received over the years." Actually, Inji is believed to be the world's oldest orangutan. She was estimated to be around 1 year old when she arrived at the zoo on Jan. 30, 1961, via the wild animal trade (legal at the time) and her owner. The Pacific Northwest Sportsmen's Show takes place Wednesday-Sunday, Feb. 6-10, at the Expo Center, and Johnnie Candle looks forward to fishing for walleye. Literally, the show features a tank of walleye in its "Walleye Alley." And Candle will speak and teach about catching walleye each day. From Devil's Lake, N.D., he has appeared at the Portland show in the past several years. He's an enthusiastic walleye expert. They're not hard to catch, but hard to find, Candle says. Walleye like warm water, but not too warm, and they exist in schools in both shallow and deep water, living among vegetation, over rocks and sand, and in currents and lakes. Around here, they exist in the Columbia River and lakes. "There'll be people who will criticize that comment," he says, of walleye not being tough to catch. "But in my opinion, they're harder to find than catch. Once you locate a school of walleye, they're usually not the most difficult fish to tease into eating. Finding them can be tricky because they live in a variety of habitat." Other happenings: There'll be a new BB gun range for kids; Backcountry Hunting Pavilion; a backyard barbecue setup; Leupold's Hang Out For Conservation, literally a pull-up competition that benefits the Rocky Mountain Elk Foundation; Baxter's Kid's Trout Pond; Head & Horns Competition; Brett Stoffel's Outdoor Survival classes; Garmin Tech Center; Englund Marine's Bait Rigging Theater. Hours for the show are 11 a.m.-8 p.m. Wednesday-Friday, Feb. 6-8; 10 a.m.-8 p.m. Saturday, Feb. 9; and 10 a.m.-6 p.m. Sunday, Feb. 10; at the Expo Center, 2060 N. Marine Drive. Fred Armisten starred alongside Carrie Brownstein in "Portlandia" for many seasons — while also playing drums in the "Late Night with Seth Meyers" show band and in gigs with his own band. Now he's going on tour, playing one-hit wonders by the likes of Blue Jean Committee, The Fingerlings, Crisis of Conformity, Joshua Rainhorn and Paulinho e Beatriz. Unfortunately for Armisen fans, and considering he helped cement Portland's weird reputation through "Portlandia," the band won't be playing in Portland. Closest stop is The Showbox in Seattle on Feb. 18. 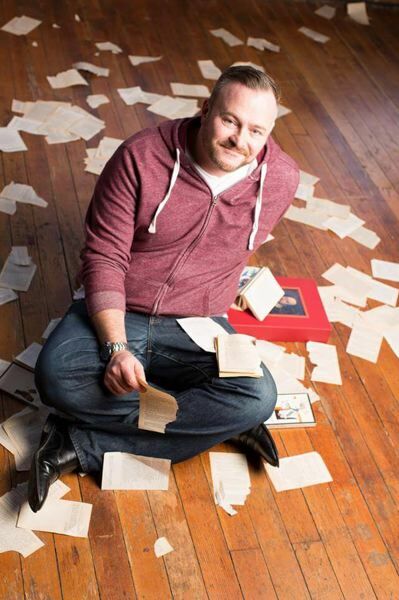 Scott Palmer, the founder and artistic director of Hillsboro's Bag&Baggage Productions, will be leaving to take the same job at Company of Fools Theater Company in Sun Valley, Idaho. Bag&Baggage has established the Scott Palmer Founder's Fund in his honor, dedicated to supporting future adaptation productions. "Since founding B&B in 2004, Scott has led the organization from a small touring company to a scrappy suburban upstart theater, to now, a nationally recognized Hillsboro institution," says Gayle Nachtigal, chair of the B&B board of directors. The Cirque du Soleil show "Corteo" stages at Moda Center, March 14-17, and an additional show already has been added because of popular demand. There are now seven shows. For info/tickets: cirquedusoleil.com/corteo. Pittock Mansion has opened another exhibit, "Changing Landscapes: The 100-Year History of the Pittock Mansion Estate," which shows through July 14. The property has changed from private family estate to a public garden and park and "it is truly fascinating to look back and see all of the different approaches to this historic landscape-turned-public park," curator Patti Larkin says. The grounds are maintained by Portland Parks and Recreation with assistance from Oregon State University Master Gardeners.